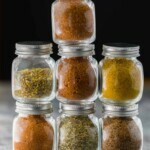 7 easy dry rub recipes for chicken or veggies– these rubs are absolutely perfect to mix up the flavors in your meal prep! They are great on sheet pan dinners, roasted or grilled veggies, meat and seafood. NEW: get a free printable with all seven dry rub recipes here! 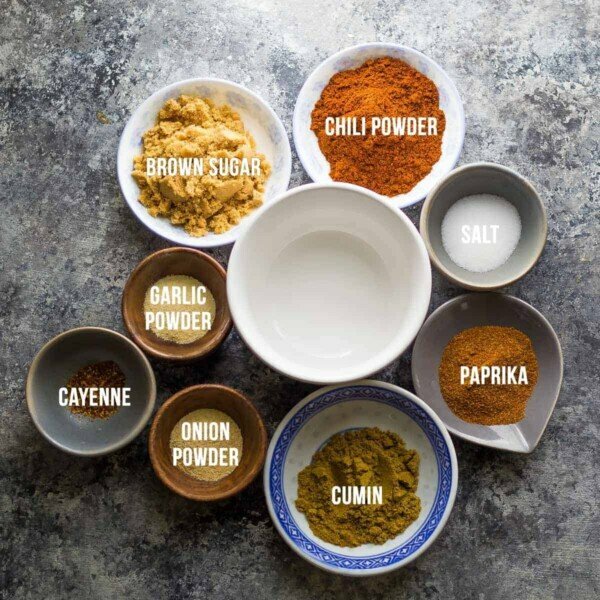 After the huge popularity of these 7 Chicken Marinade Recipes You Can Freeze, I thought it would be really great to share some dry rub recipes with you! If you ask me, dry rub recipes are even more useful than marinades, because you don’t need to plan ahead. Having salmon/chicken/roasted veggies for dinner? Any one of these rubs will work, and they will all give a completely different flavor profiles. PLUS: you don’t need to do anything ahead of time! Some of these dry rub recipes are ones I’ve used in previous posts, and some of them are brand new. And look out because I may start adding new rubs to this post as I come up with them! I have a number of rubs on my list that I didn’t quite get around to making. What equipment will you need to make these dry rubs? spices galore! 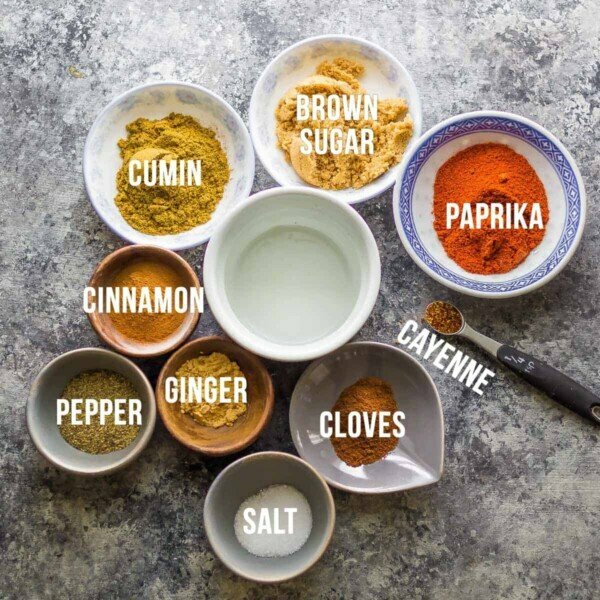 None of these spices are obscure or hard to find, so you should be able to stock up at your grocery store or bulk foods store! Let’s check out these 7 easy dry rub recipes for chicken and veggies! 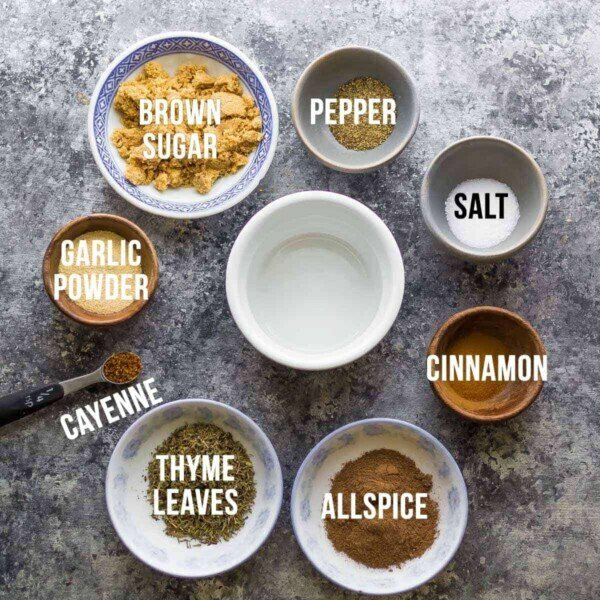 If this dry rub looks familiar, you may have participated in our April 2017 Lunch Prep Challenge, where we made sheet pan fajitas. 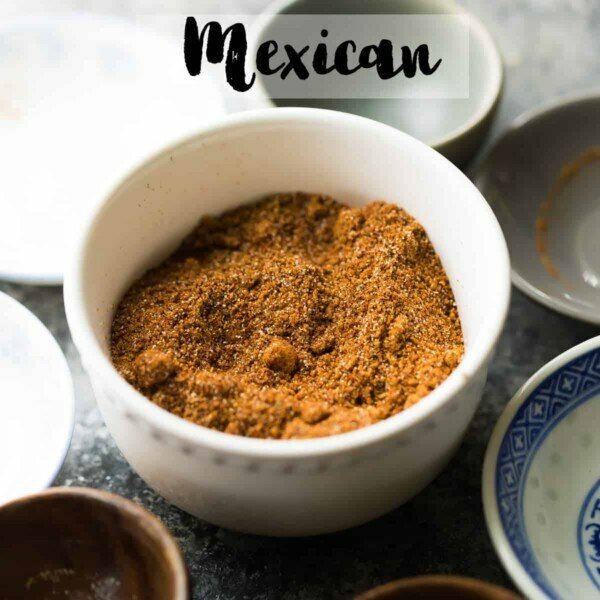 This is my favorite fajita seasoning, and while it makes great fajitas, you can use it on so many other meals as well: salmon, grilled veggies, potatoes (<–so good!). There is a touch of sugar, and this is important to balance out all of the savory flavors, but this dry rub doesn’t taste sweet at all. This rub recipe has been used on several recipes on the site already, and is one of my all time favorites! I love the contrast between the sweet brown sugar and savory chili powder. It is not spicy, but you can crank it up a notch by adding in some cayenne. And I love that it only has 5 ingredients, which makes it super simple to whip up. 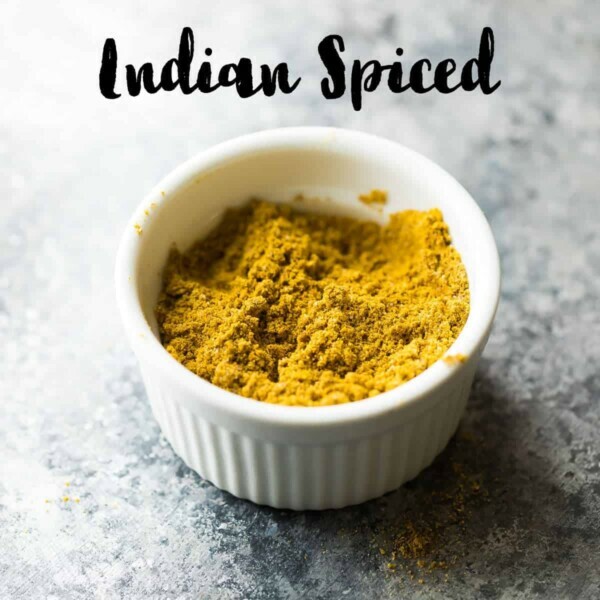 GRAB THE PRINTABLE HOMEMADE INDIAN SPICE MIX RECIPE HERE! This is a fairly new-to-me recipe, but I used the same spice ratios in the filling for last month’s samosas and loved the flavors that it gave…plus the simplicity of only five simple spices. This is particularly great on grilled or roasted cauliflower, and even better served with some raita or yogurt sauce. 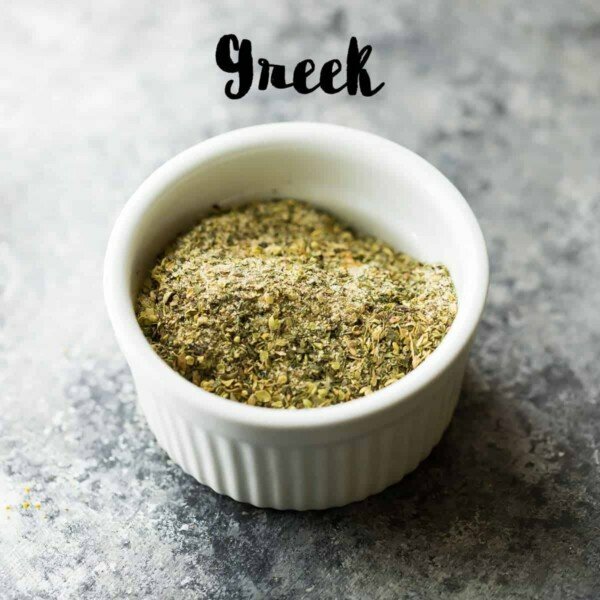 GRAB THE PRINTABLE GREEK SEASONING BLEND RECIPE HERE! This is a brand new rub that I’m absolutely obsessed with! Packed full of savory flavor thanks to the garlic and onion powder, and that herby flavor characteristic of Greek cooking thanks to some dried basil, oregano and dill. This rub is great on a variety of proteins and veggies! 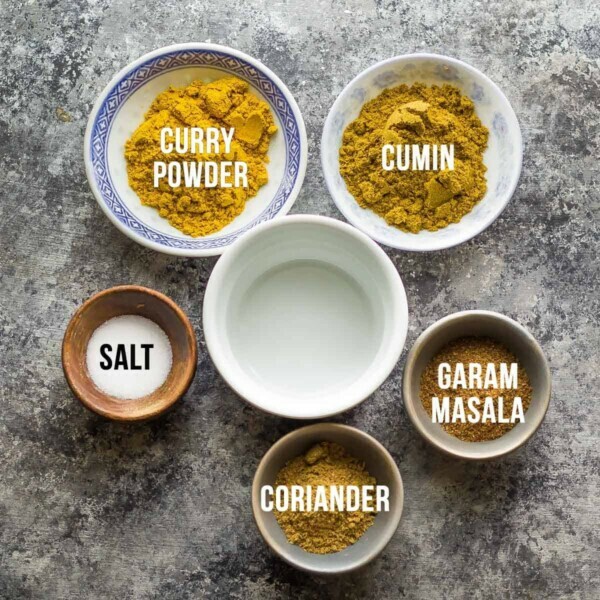 Tip: make sure you shake up your seasoning well, as the herbs & powders can separate a touch. 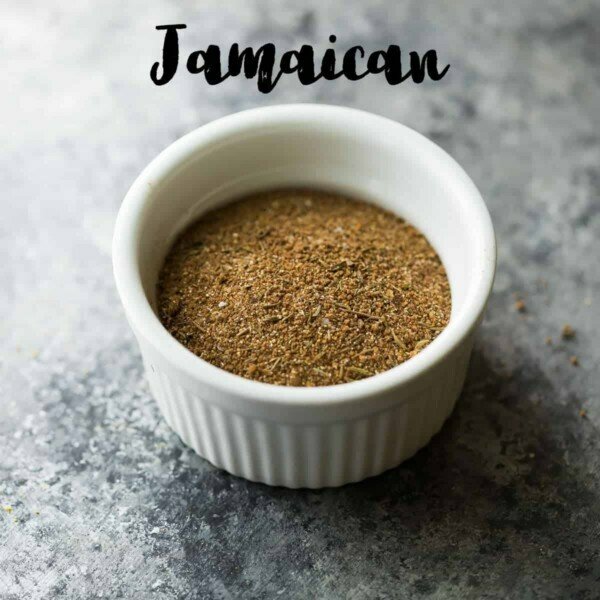 GRAB THE PRINTABLE JAMAICAN JERK SEASONING RECIPE HERE! 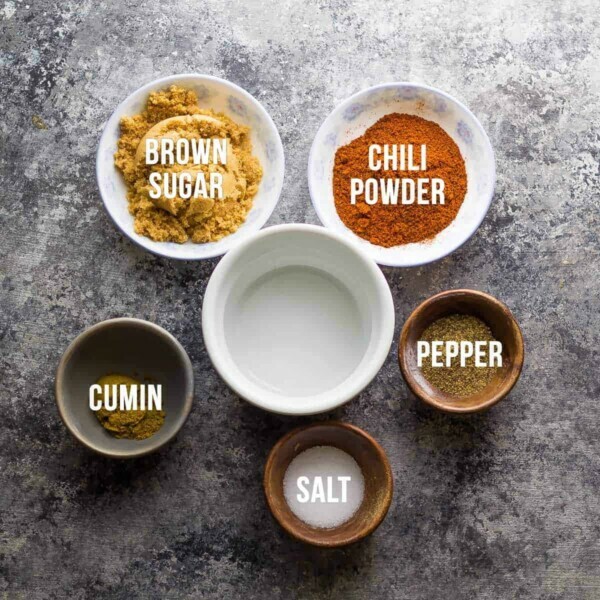 Now this is definitely a familiar rub around here…I used it as the base for the Jamaican jerk chicken marinade in this post, and it is also great on sheet pan dinner recipes. Is it a truly authentic Jamaican recipe? Probably not. But it tastes darn good, and you don’t need your food processor to make it! This rub goes amazingly well with fresh mango or a mango salsa! 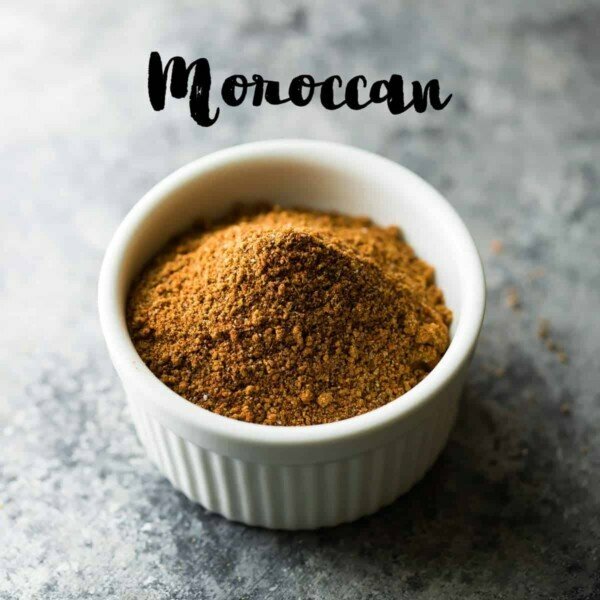 GRAB THE PRINTABLE MOROCCAN SPICE BLEND RECIPE HERE! I love love LOVE this dry rub recipe! 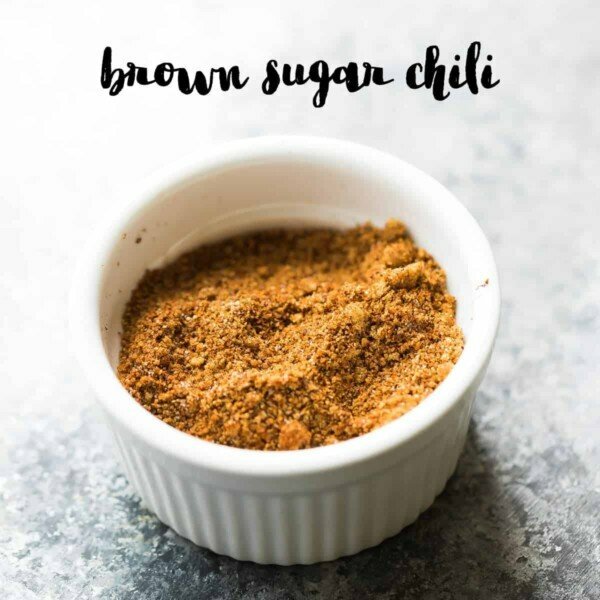 It is somewhat similar to the brown sugar chili spice rub but it has a few extra notes of cinnamon, ginger and cloves that give it a distinctive flavor. The sweet/savory contrast is beautiful, and you can spice it up as much as you’d like. We enjoyed a kid-friendly version with no cayenne but crank it up if you’d like! Start with 1/4 teaspoon, taste, and add more as needed. 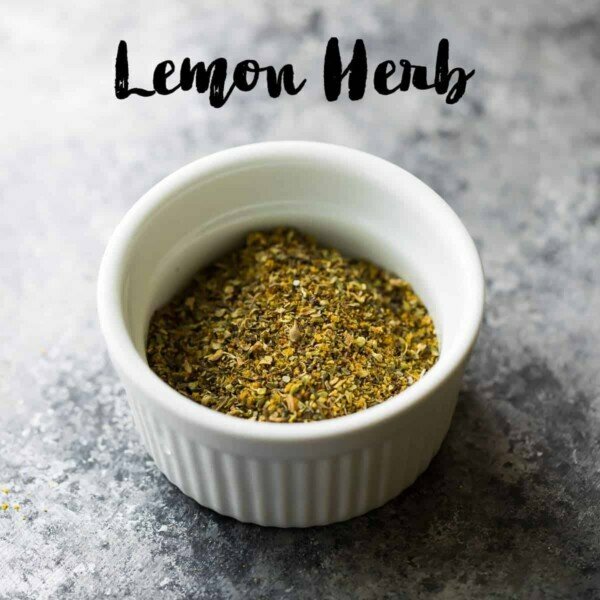 GRAB THE PRINTABLE LEMON HERB SEASONING RECIPE HERE! Taking a break from some of the more intense spice rubs, this one is light, fresh and perfect for summer. It goes well especially well on seafood, and if you’d like to boost the lemon flavor even more, add a few slices of fresh lemon! 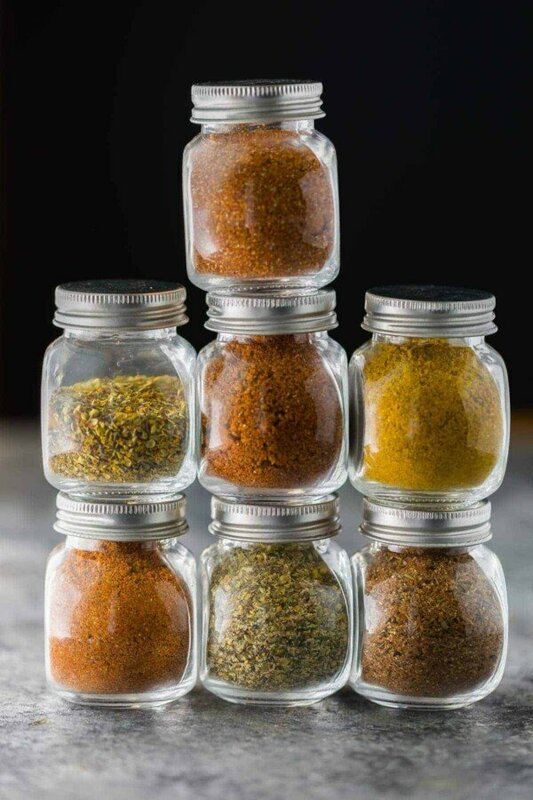 these rubs are absolutely perfect to mix up the flavors in your meal prep! They are great on sheet pan dinners, roasted or grilled veggies, meat and seafood. Stir together all ingredients and store in an airtight container for up to a year. Each spice blend makes approximately between 1/3-2/3 cup. Use aggressively: 1 tablespoon per 7 oz chicken breast, 0.5 tablespoon per 4 oz salmon fillet, and roughly 2 tablespoons per lb of vegetables. We’ve made all of them and they are all delicious! I think the lemon herb rub is my favorite. are you serious on the chili powder – 2 tablespoons. What sort of chili powder? Do you bake the chicken after this dry rub? These are SUPER useful! 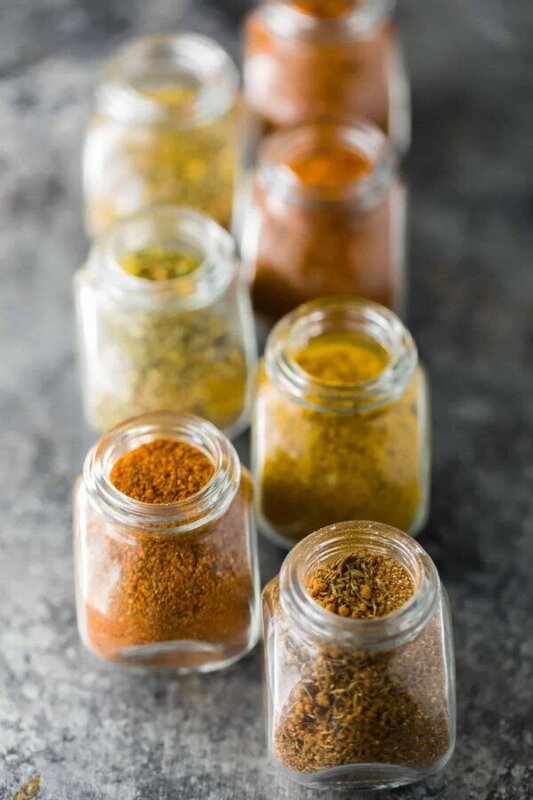 I make my own spice mixes all the time, first of all because it is much cheaper then a ready made mix and also because my spice rack is super well stocked! I usually have all of the individual ingredients already at home. I don’t suppose you made a PDF version of this post. The PDFs of your stir-fry sauces and chicken marinades is so helpful! It’s definitely on the ‘to do’ list! 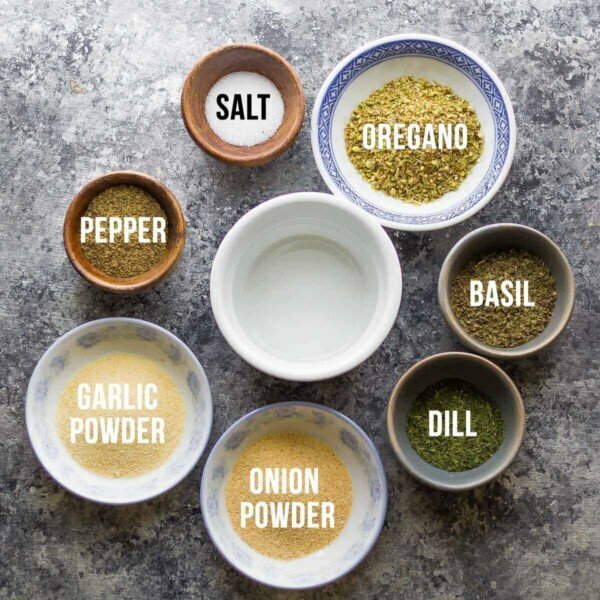 I love being able to make my own seasonings instead of buying them – these are great alternatives, Denise! 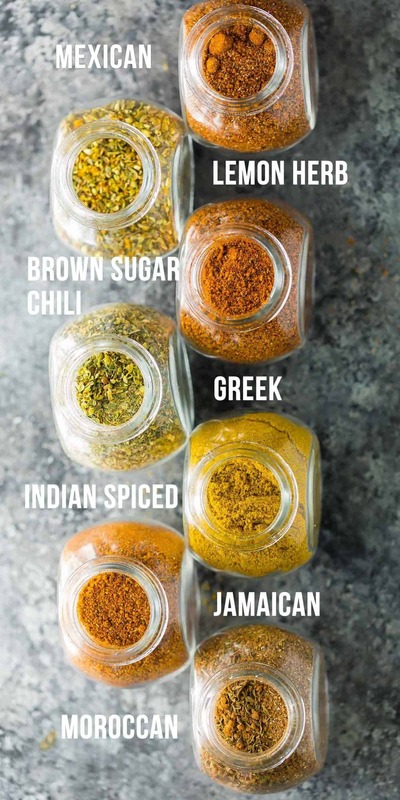 We love these rubs, especially the Greek one! Love the rubs, especially the brown sugar one. They bring out such a nice gentle flavor! Also liked packaging them up for Xmas gifts! So glad you enjoyed them! The brown sugar one is a personal favourite. I just made all of these! Can’t wait to try them!! I hope you enjoy them, Shelby! Hi! About how much seasoning per pound of chicken? Thanks! Hi Denise-Thanks so much for quick and healthy recipes! I’m really focused on healthy meals right now and you are helping me so much achieve some health goals that I’ve set for myself! Thank you! Thank you so much for these blend recipes! I am always looking for these type of recipes to have on hand. I love spices and rubs. They really do amp up just about anything. 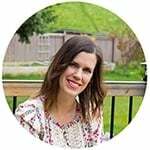 Love your site, and have been able to really mix it up with my cooking because of your amazing meal ideas.